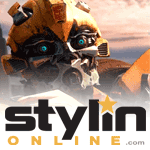 An Autobot hunter squad has found more Decepticons hiding among the vehicles of Earth. 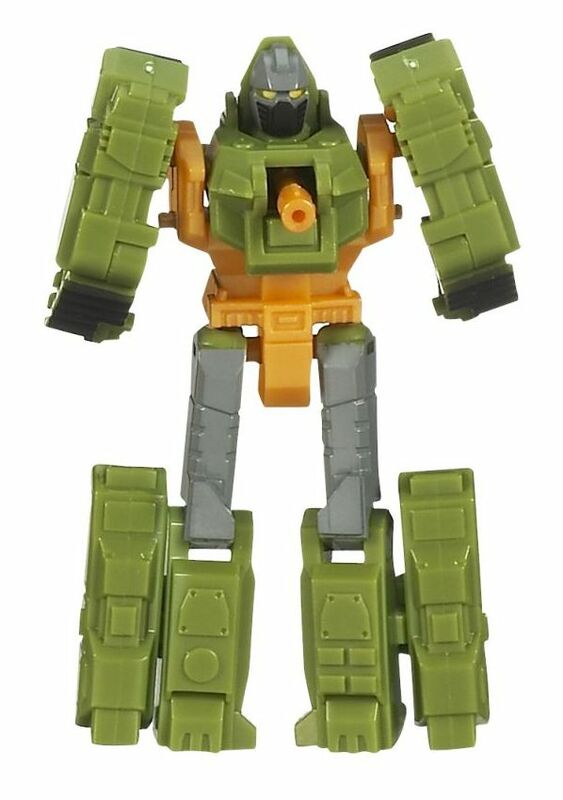 Both are famous among the Autobots-- Sparkcrusher for the near-invulnerability of his armor and the destructive power of his cannon, and Runamuck for his insane speed. 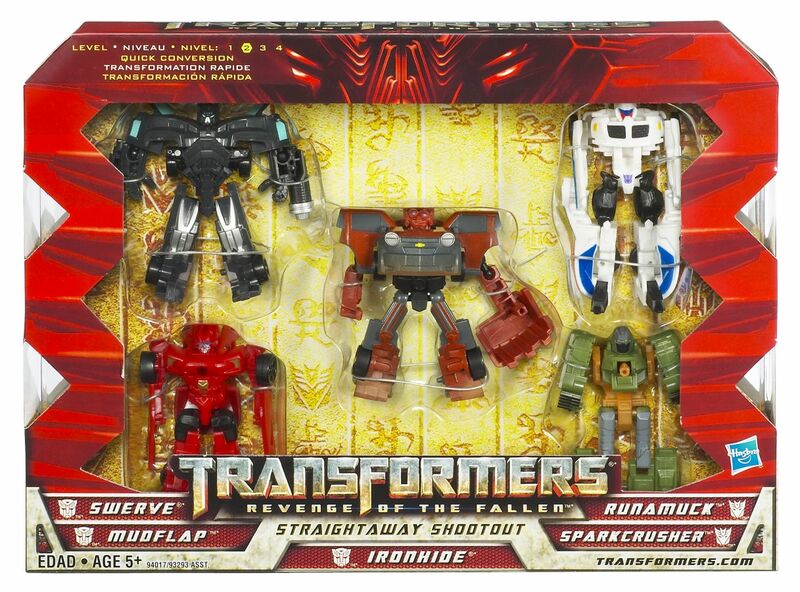 Even in a three on two fight, the Autobots will have to use every bit of firepower at their command to bring Sparkcrusher down and stop Runamuck before he escapes. 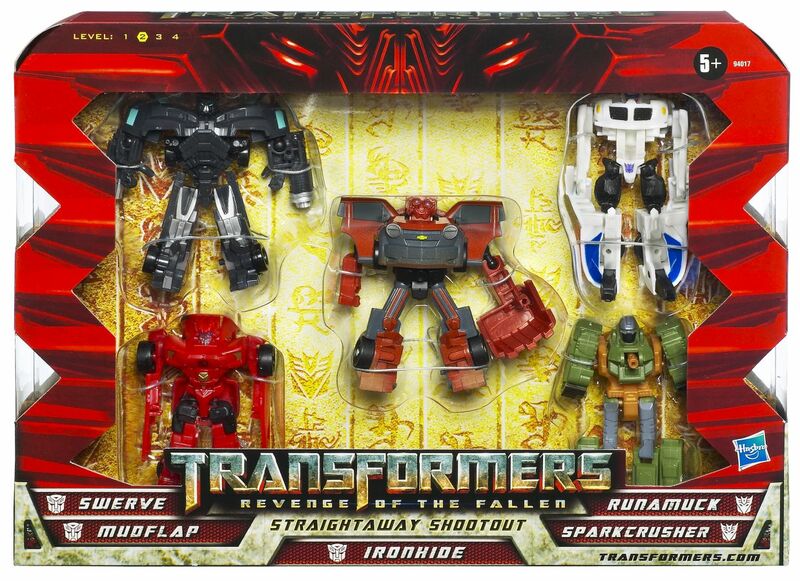 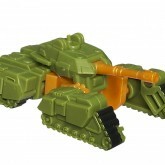 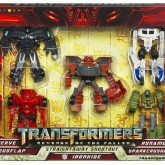 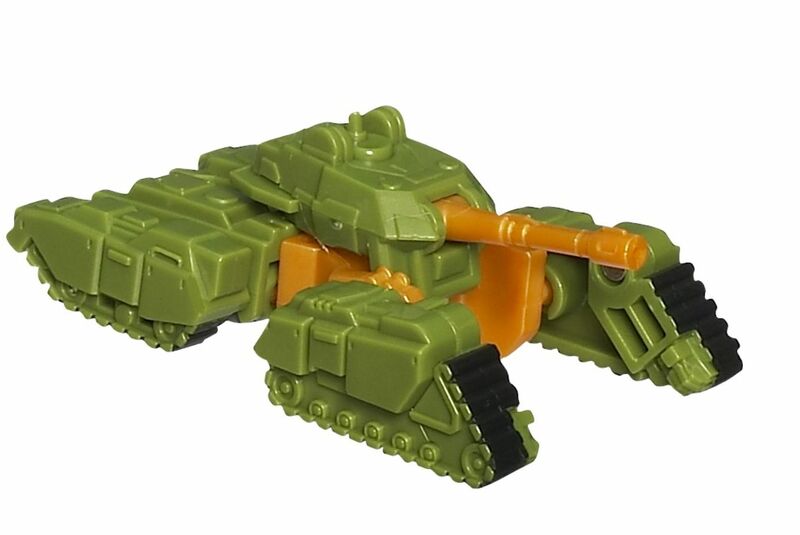 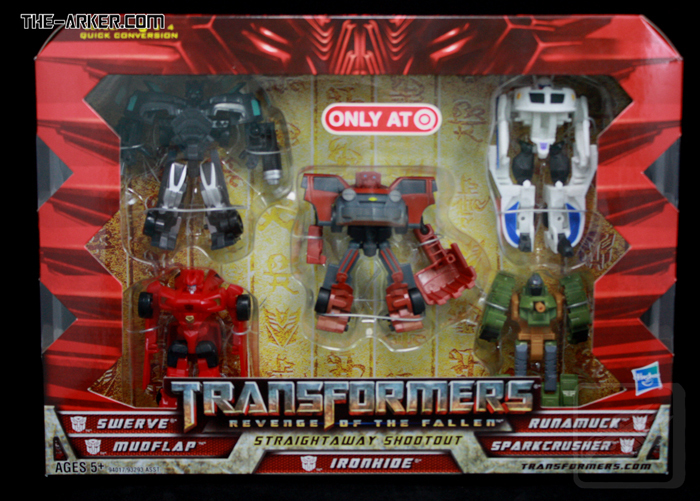 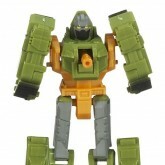 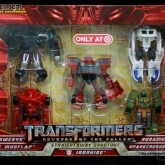 In the US, Sparkcrusher is part of the Target Exclusive Straightaway Shootout set.